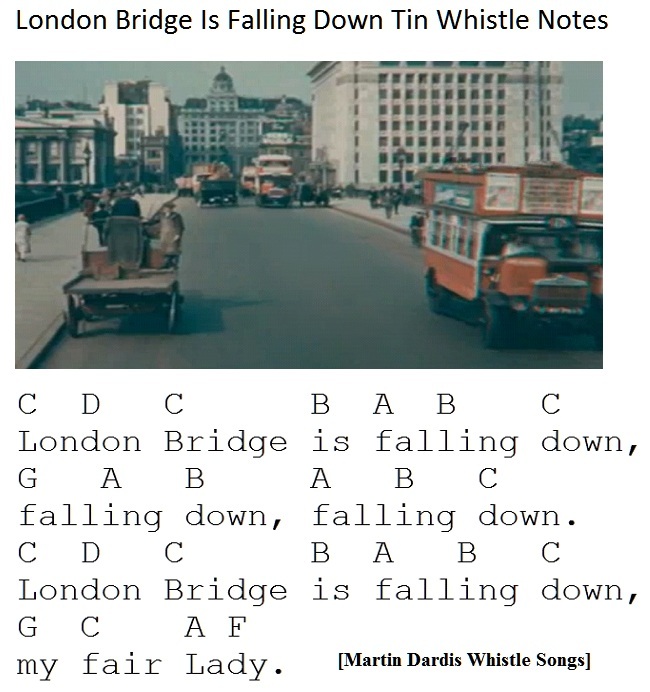 London Bridge Is Falling Down Tin Whistle Notes for children. The photo of the bridge is from 1926. This is the real London Bridge which sometimes gets confused with Tower Bridge. Also suitable for the recorder.